Lovely cats living in a lovely place. Have a serene and easy Sunday. Great shots, love the last one! Happy b&w Sunday! Beautiful kitties! The city sounds very beautiful, too. 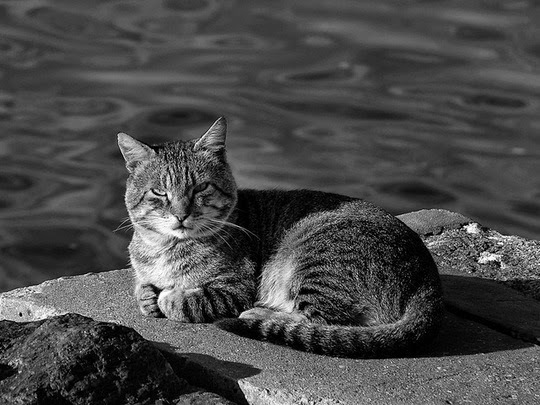 Great cat photos. They all look so natural and at home. Beautiful!! They look like they are living the life! 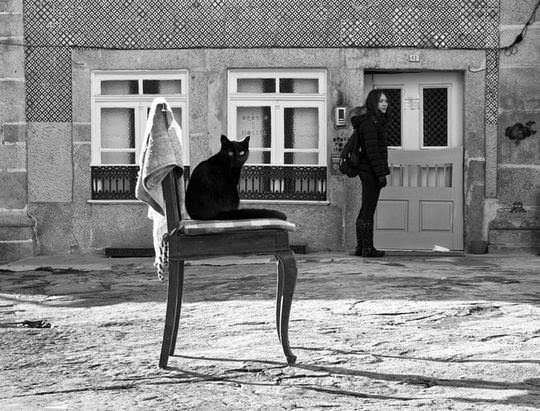 Love the one of the cat on the chair! What cuties! The first one looks like he is saying "peek-a-boo". I hate seeing churches or any other religious item covered in gold. How much misery and deprivation was caused so that the church could glorify its own power? Cats would never engage in such nonsense. That's another reason to love them. These are just delightful!! I love all three. The first one I want to take home. That one on the chair is adorable - so atmospheric. Oporto is a delightful town - we visited it some few years ago. The port was good too,, we sampled some at one of the caves. Lovely cats, the second one looks particularly well fed. Oh, we especially love that last photo! The kitty and the woman are nearly synchronized. Greats photos, I love especially the second one. Have a nice day, Vanessa. Lovely photos, the last one is spectacular! Those kitties all look super cozy in their spots!! 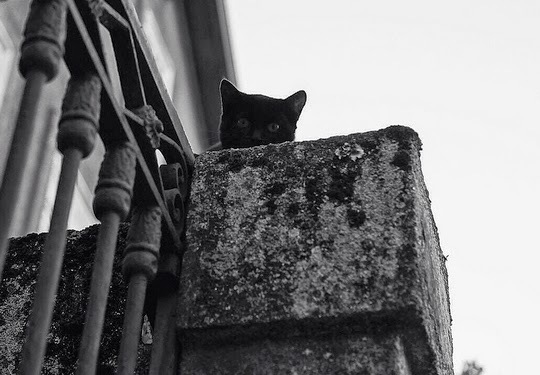 Cute cats from Portugal ! De jolies photos en noir et blanc. Ca donne une atmosphère particulière. J'aime tout particulièrement le chat de la seconde avec son air sérieux et serein.